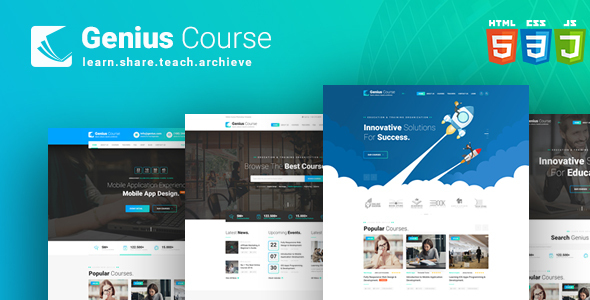 Genius Course is modern, clean and professionally crafted HTML template which can be used for Courses, Training, Events, Online Learning System and other sites related to education. It also can be used for any other site. Note: All images are just used for preview purpose only and NOT included in the HTML files.